Makes a wonderful gift of luxury decor that can be customized in hundreds of possible combinations. 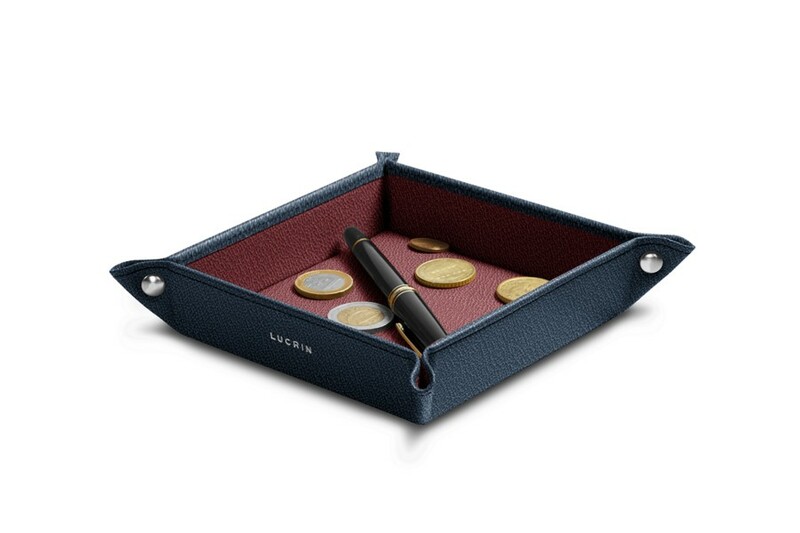 This is the small solid bicolour catchall from the Lucrin collection. Made entirely of natural leather, its flawless finishing touches make this a decorative object that is refined, yet highly practical. 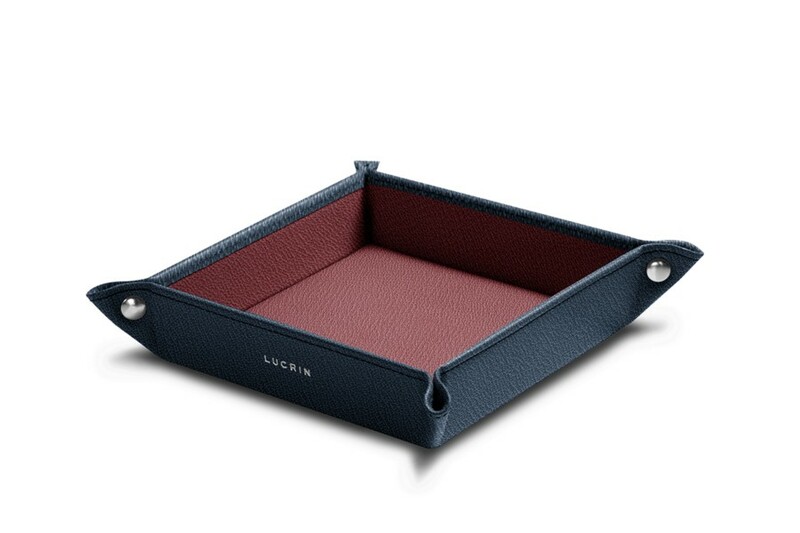 This square bicolor catchall can be placed anywhere in the home or office to organize and keep track of the items you keep in your pockets. The corners are held together with 4 metallic rivets.